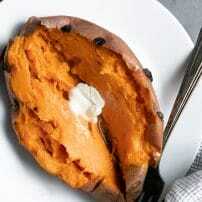 Baked Sweet Potato, when cooked properly, have a soft, sweet, and fluffy interior impossible to resist. 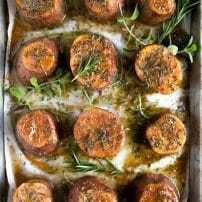 An easy dinner side dish or light lunch, learn how to bake perfect, delicious sweet potatoes every single time with this easy to follow guide and recipe. What is the Sweet Potato? Sweet potatoes come from the morning glory family. It has large, starchy, sweet-tasting, tuberous roots that are packed with vitamins and minerals. Considered a root vegetable, the sweet potato is only distantly related to the potato. Sweet potatoes have an elongated shape with a tapered end and with smooth skin that may range in color from red, brown, purple, yellow, orange, and beige. Its interior flesh, on the other hand, may range in color from beige to white, purple, orange, yellow, violet, pink, and red. There are two main types of sweet potato grown in the U.S. (and the Yam is not one of them). Firm sweet potatoes. these guys have tan skin and a pale, off-white flesh. It is said that firm sweet potatoes still remain firm and somewhat waxy, even after cooking. I doubt it’s quite this black and white as I have not experienced this when I cooked lighter versions of sweet potatoes. Soft sweet potatoes. Copper skin and deep orange flesh. These are the sweet potatoes that we probably think of when we think about Thanksgiving sweet potato casserole. Check out this article on the different shades of sweet potatoes. 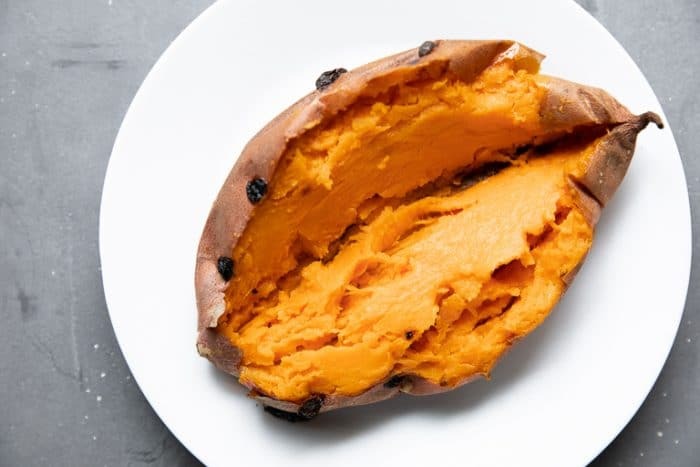 Catching the difference between the sweet potato and the yam can be quite tricky if you don’t know what to look out for. But, if you take one thing away from this post (aside from how to bake a sweet potato, I hope), remember this- the yam and the sweet potato are not the same things. In fact, all those “yams” you see in the market probably aren’t yams at all. Yam. This is probably a soft sweet potato with copper skin and deep orange flesh. Sweet potato. This is probably a firm sweet potato with tan skin and pale, off-white flesh. It’s pretty tough to find real deal yams in the U.S. But, you never know! Keep those eyes peeled. 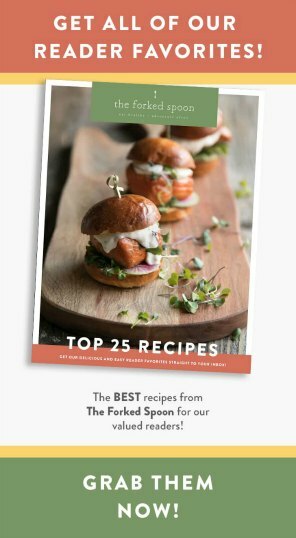 There are quite a few methods out there on what is considered the “best” way to bake a sweet potato. This is my method. Preheat oven. Preheat oven to 425 degrees F and line a large baking sheet with parchment paper. Spray lightly with nonstick cooking spray. Prepare the sweet potatoes. Wash and scrub each sweet potato and dry thoroughly. 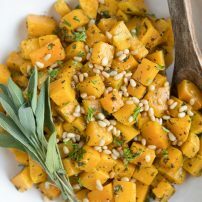 Transfer to the baking sheet and, using a knife or a fork, stab each sweet potato at least 6-7 times (this will vary depending on the size of your potato). Bake. Transfer potatoes to the oven and bake for approximately 30 minutes. Rotate the pan 180 degrees to ensure even cooking and bake for an additional 15-30 minutes, or until you see some of the natural sugars have started to caramelize and a fork or knife is easily inserted into the thickest part of the potato. Serve. Remove from the oven and allow potatoes to rest for 5 minutes before seasoning with salt, pepper, butter, or maple syrup if desired. 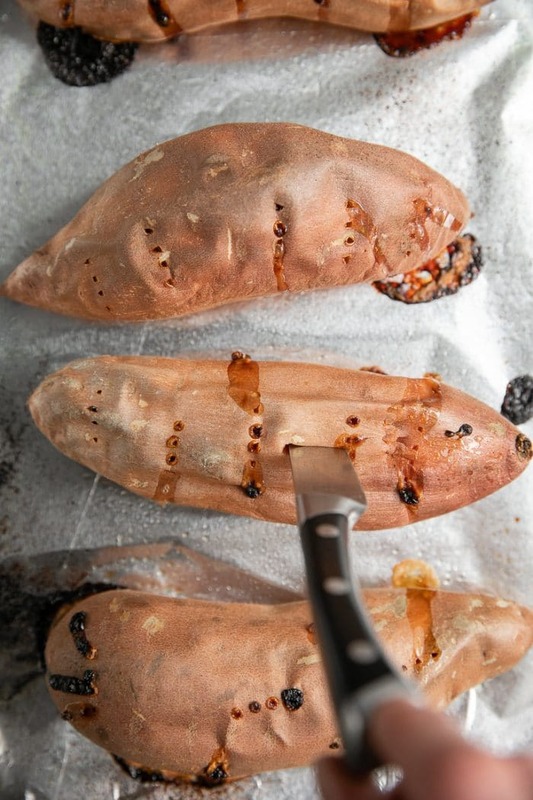 How to bake sweet potatoes in foil? 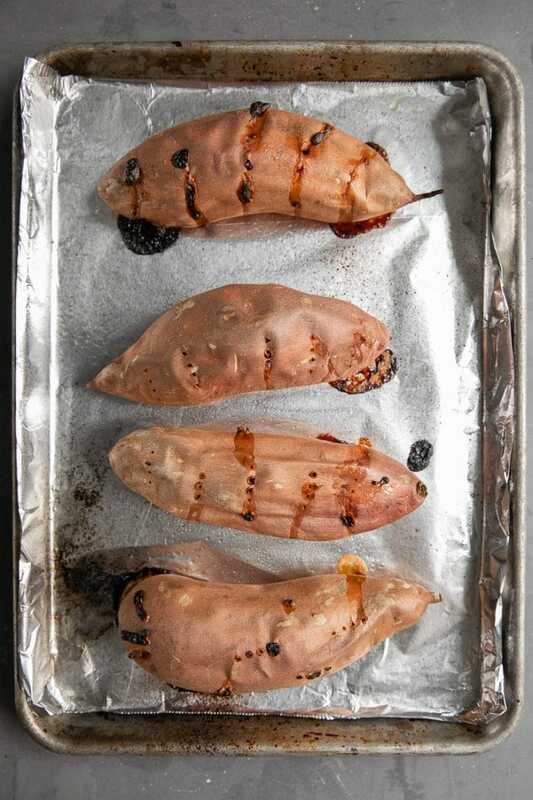 Follow the exact instructions above, simply wrap each sweet potato in aluminum foil before baking. I prefer crispier sweet potato skin, so I skip the foil. Stay away from the fat guys. Sweet potatoes, that is. Here’s the thing, the bigger and rounder your sweet potato, the longer it will take to bake and the more likely you will end up with a sweet potato that is not baked evenly. The fat guys do not necessarily mean more soft and fluffy sweet potato inside. Look for long, uniform, skinny sweet potatoes. Thoroughly wash and dry your sweet potatoes before baking. Seriously, guys. Dry your potato. Line your baking sheet with foil or parchment paper and lightly spray with non-stick cooking spray. When you cook sweet potatoes they will ooze out their natural sweet caramelized sugars. 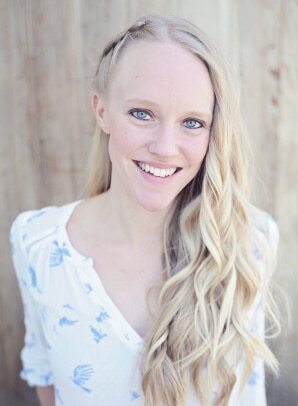 Sugars like to solidify and stick to things…like baking sheets. Don’t forget to poke each potato at least 6-8 times. How long to bake a sweet potato? The length of time it will take to bake a sweet potato isn’t an exact science. It depends of two main factors- oven temperature and size of the potato. Are sweet potatoes good for you? Sweet potatoes are, without question, incredibly good for you. Here’s the nutritional takeaway. One cup of sweet potato provides half of your daily vitamin C and 400% of recommended daily intake of vitamin A. Each play a vital role in the immune system, while vitamin A also helps support healthy skin, vision, and organ function. Vitamin A and C which sweet potatoes are so full of are also antioxidant powerhouses and help protect cells against aging and disease. Manganese. One serving of sweet potato delivers one-third of your daily intake of manganese, a mineral that produces collagen. They are a natural anti-inflammatory food. High in fiber. Yes, sweet potatoes are a starchy vegetable, BUT, they are also loaded with fiber. This makes them a slow-burning starch. In other words, they will not spike blood sugar levels. They help regulate blood pressure. One cup of sweet potato (with skin) provides 950 mg of potassium. Potassium helps eliminate excess sodium and fluid from our body, which, as a result, lowers blood pressure and reduces strain on the heart. Now, will eating a whole bunch of baked sweet potatoes make you super skinny? Probably not. That wonderful thing about baked sweet potatoes is that they can be enjoyed in so many different ways! 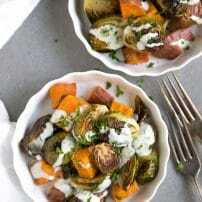 As a side, sweet potatoes taste awesome with beef, chicken, pork, and seafood, or veggie dishes. 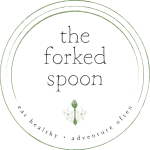 For example, shredded buffalo chicken, Instant Pot pork tenderloin, or Cajun shrimp. Leftover baked sweet potato? Mash them and turn them into mashed sweet sweet potatoes or blend them into soups or muffins! Of course, you can always stuff your sweet potato. 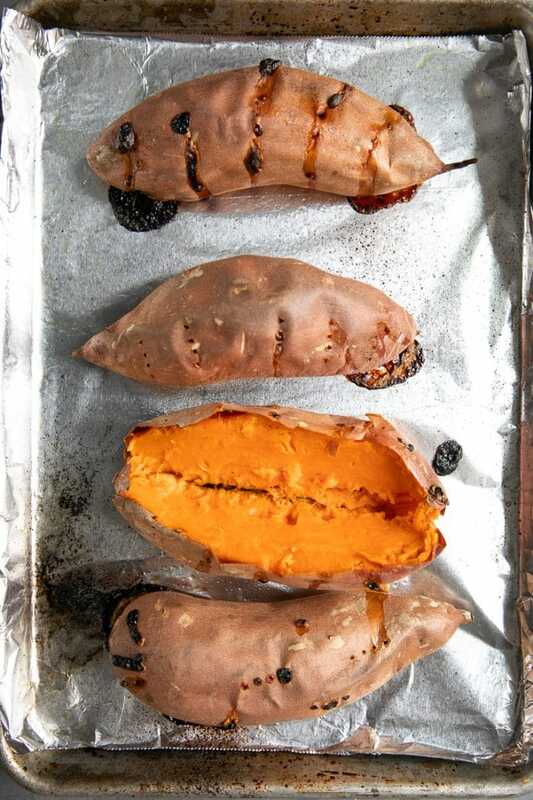 You guys, stuffed sweet potatoes, like these Holiday Leftovers Stuffed Sweet Potatoes are perfect after the holidays and a much healthier way to enjoy sweet potatoes than sugar-filled sweet potato casseroles. If you’re not into all of that, one of my favorite ways to enjoy this humble, yet super delicious vegetable is with a tablespoon of butter. That’s it. If you try making this Baked Sweet Potato, please leave me a comment and let me know how it turned out! I always love to hear your thoughts. 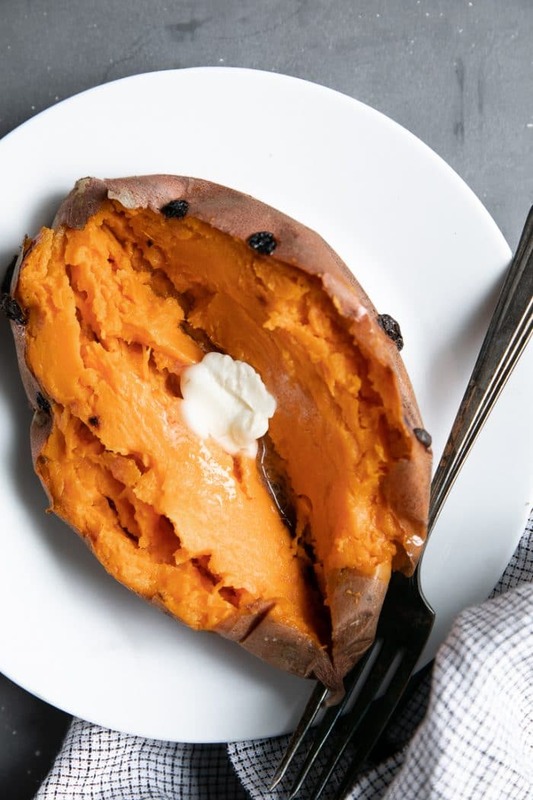 DON’T FORGET TO PIN AND SHARE THIS BAKED SWEET POTATO RECIPE AND GUIDE FOR AN EASY AND FLAVORFUL DINNER OR HOLIDAY SIDE DISH. n easy dinner side dish or light lunch, learn how to make perfect, delicious sweet potatoes every single time with this easy to follow guide and recipe. Preheat oven. Preheat oven to 425 degrees F and line a large baking sheet with parchment paper. Nutrition information is based on a 114-gram sweet potato without additional toppings such as butter or maple syrup. 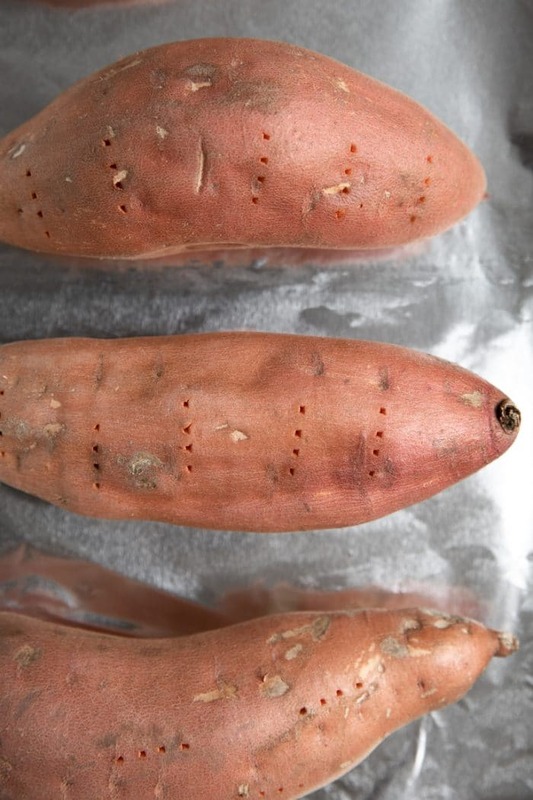 The best sweet potatoes for baking are the longer, thinner sweet potatoes. They cook faster and more evenly than the big, fat round ones.